A Yogaclass at Qi-biza helps you to reduce stress but also become more flexible. Vinyasa Yoga is a powerful and fun way to build strength, create more flexibility and balance and because each class is different, you don’t know what’s going to happen next. It requires from you to pay attention, to be present, to stay aware. When you’re trying to decide what type of yoga to attend, it’s good to know that classes vary tremendously in their intensity and pose variety. Although “Hatha” is a somewhat generic description, it usually refers to a gentle combination of standing and seated postures. Ashtanga yoga is a very specific discipline that follows a set sequence and can be quite rigorous. Hatha is an umbrella term that means “physical practice,” so it’s not really a specific style. Technically, Ashtanga is a form of Hatha yoga. 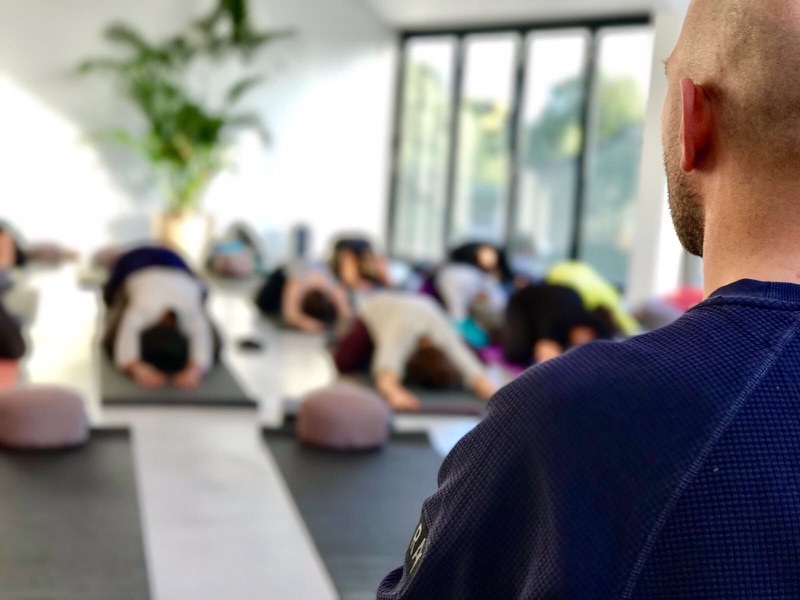 Classes based on deep and precise attention to the posture and the breath, body alignment, strength, flexibility, stamina, concentration, structural understanding, inner light. For all ages and body types. Yin Yoga has the same goals and objectives yoga; however, it directs the stimulation normally created in the asana portion of the practice deeper than the superficial or muscular tissues. Yin Yoga targets the connective tissues, such as the ligaments, bones, and even the joints of the body that normally are not exercised very much. Veronicas ‘AcroVinyasa’ technique takes yoga from the earth to the air… giving everyone the chance to Fly. AcroVinyasa technique consists of 4 parts which are divided into Vinyasa Yoga practice, Inversion training, AcroYoga or partner Yoga and Thai massage. It is also great fun, building trust, balance, and connection. Acro Yoga helps you to release your fears and break down blockages, cultivating trust and confidence in yourself and others. It builds community in powerfully bonded ways. Verónica offers customised private and group classes as well as retreats all over Ibiza. Our Yoga teachers teach Yoga for kids through a game which makes it more interesting for kids. Of course no experience is required an all ages can attend. A yoga class for kids is a really nice start for birthday parties or other special events for children.